2. 3 shelves to contain numbers of products. 4. Shipped flat to lower cost. 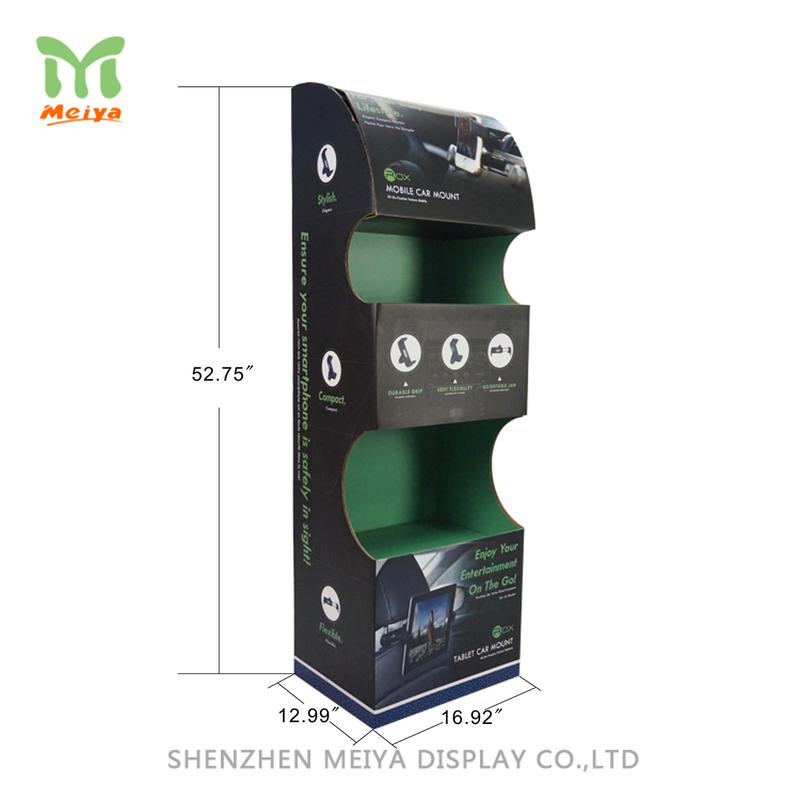 This floor standing cardboard display stand with multi-tiers is the ideal displays unit for your store or supermarket. The outlook of the displays are designed with shinny finished to draw more attention from customers quickly. The removable head card can be printed with your graphics or products literature, that is a off-fixture of visual merchandising.